I’ve been receiving requests for Indian food recipes and this one requires no culinary expertise. The gravy drowning the chickpeas is light but full of spices making a totally mouthwatering experience. On a day that I was scheduled to work at the hospital and knew it was going to be a long day, I developed this recipe. There was a good chance that I would come home too late to fix my family a proper dinner and I would need to cure my own “hanger” (hungry+anger) with something savory and nourishing. Forget about grocery shopping while hungry; you don’t want to see me raid my own fridge and pantry! Before going to bed the night before, I threw the ingredients into my Crock Pot, and covered with the lid. Before I left for work in the morning, I hit ON. We served it with the Trader Joe’s Frozen Multigrain Blend with Vegetables (not perfect but ’emergency’ item I keep on hand) because I was out of whole wheat pita bread, rice, and quinoa. I had mine with plain yogurt. You do the best you can. 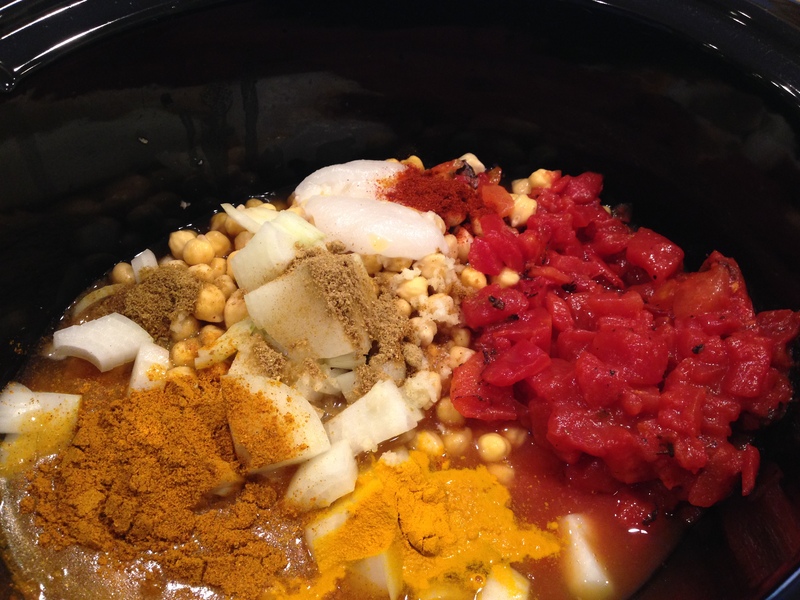 Place all of the above in your slow cooker, give it a stir, cover, and cook for 6-8 hours on LOW or 4-6 hours on HIGH. Carefully pick out ginger slices and dispose. 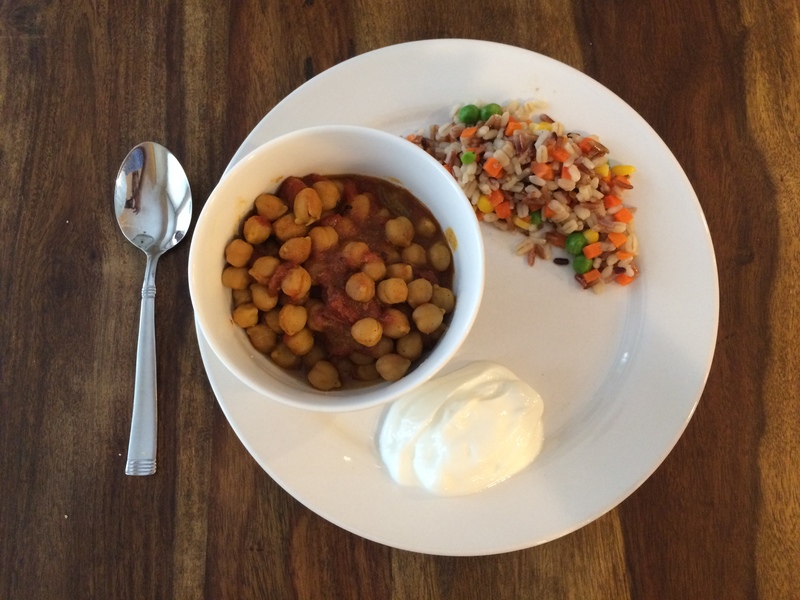 Serve with any type of bread, rice/barley/couscous, or quinoa as well as some plain yogurt. Add cilantro and lime juice if desired. I made this dish my niece who is vegan and loved it! I used less broth because I wanted it to be more hearty. Yum! That’s awesome Kedi! Thank you so much for reporting back. Just made this for our NewYears dinner. Delicious thanks for posting!! !